I can’t believe it took me so long to share this recipe! 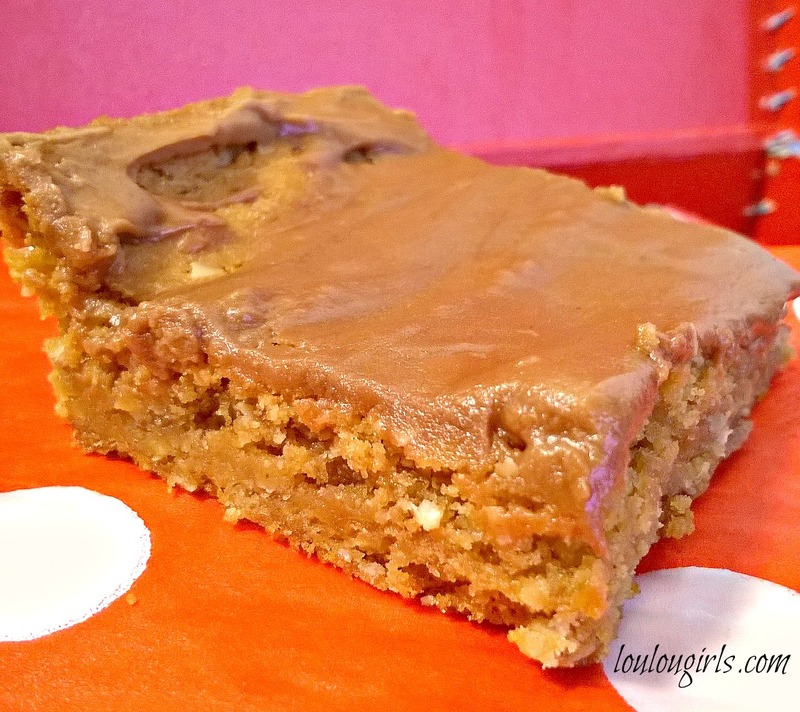 My husband absolutely loves peanut butter bars. Every time he goes to the store, he will either bring home raisin filled cookies and a pack of peanut butter bars! When I was growing up, we had delicious things like this in our lunch every day. School lunch recipes are close to my heart because my two cute grandma’s were lunch ladies and my grandma Ainge was the head woman and decided what was going to be served in the lunches! Both ladies were amazing cooks! 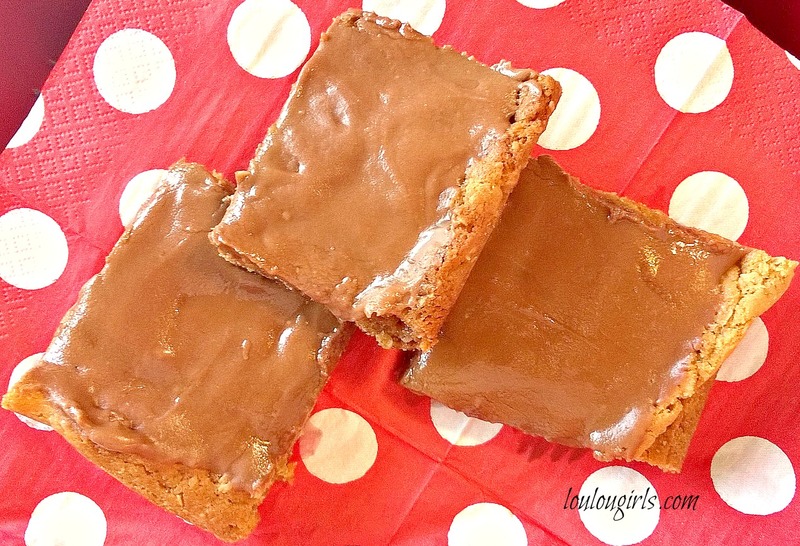 YOU will not be disappointed by this recipe! I changed up the icing and it put it over the top of yumminess! If you are trying to eat healthy, have a cheat day and have one and then spread the love! You won’t be sorry! Preheat oven to 350 degrees. 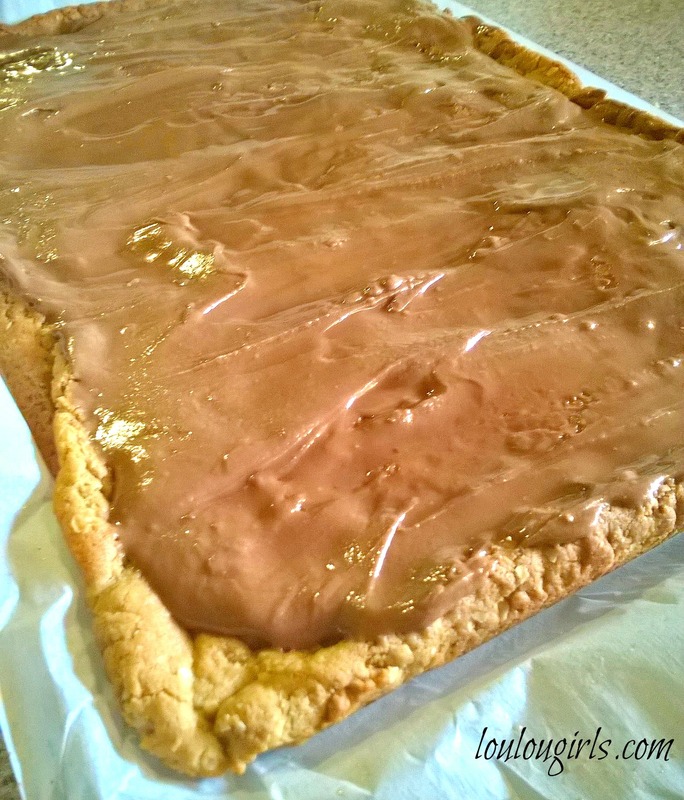 Line your cookie sheet with parchment paper and set aside. In a large bowl, cream the butter and both sugars until it is light and fluffy. Add the peanut butter and vanilla and beat well. Add the eggs, one at a time and beat until well combined. In a separate bowl, combine flour, baking soda, and salt and then add to the butter mixture, and combine. Add the oats and give it a good stir to make sure it’s combined. Frosting: In a bowl, whip the butter and the melted chocolate for about 2 to 3 minutes. Add the vanilla. Gradually add the powdered sugar and mix until well combined and the frosting is creamy, and then frost those puppies, and cut into bars! Aw man, now I want one in my lunch too! Yum, I love peanut butter and don't have it often. These look amazing. me either but these bars are so worth it! These look so tasty – YUM! It's like a snack and a dessert in one! Cool! 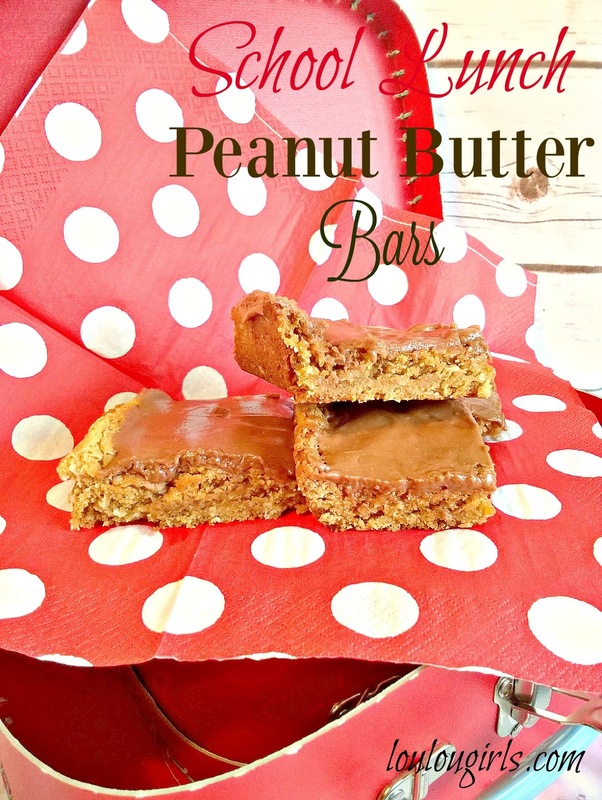 We will love your Peanut Butter Bars, awesome! Thanks so much for sharing with Full Plate Thursday and have a great day! Oh man, these look amazing! Any idea if you could substitute the flour for oat flour? These look so good! Thank you for lnking to #overthrmoon! This look amazing!! Peanut Butter is one of my Favs! Thanks for sharing on My 2 Favorite Things on Thursday! Pinned! Your recipe is featured on Full Plate Thursday this week! Hope you enjoy your new Red Plate and have a great weekend.